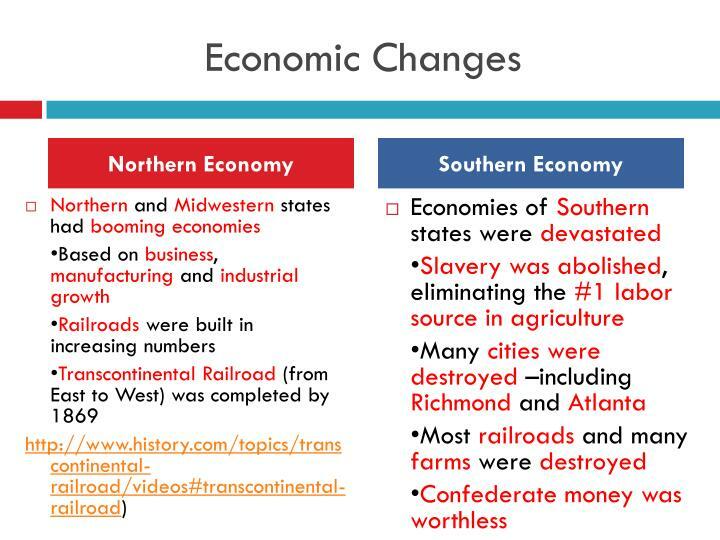 Farming and mining for gold!! 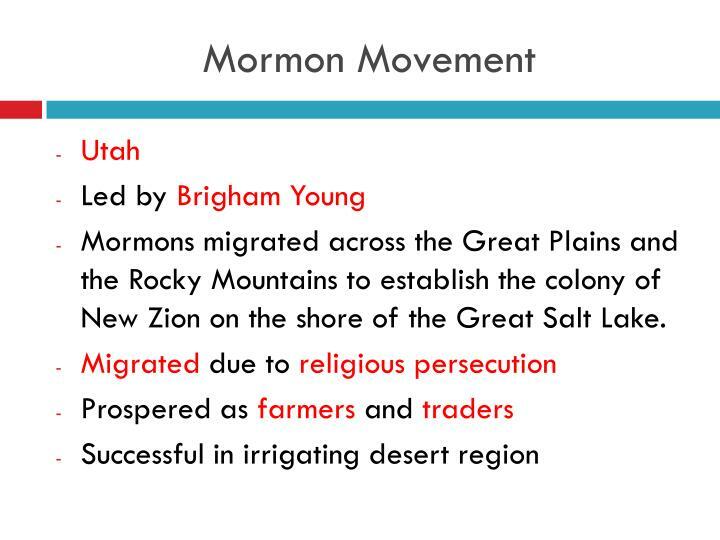 Mormons migrated across the Great Plains and the Rocky Mountains to establish the colony of New Zion on the shore of the Great Salt Lake. 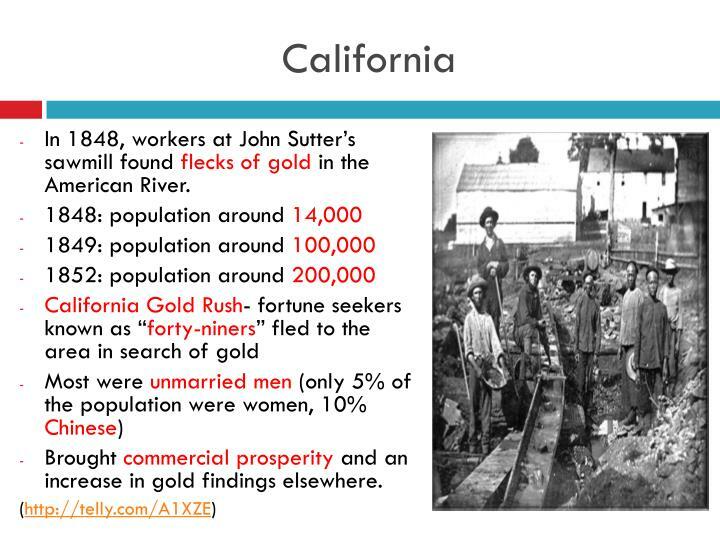 In 1848, workers at John Sutter’s sawmill found flecks of gold in the American River. 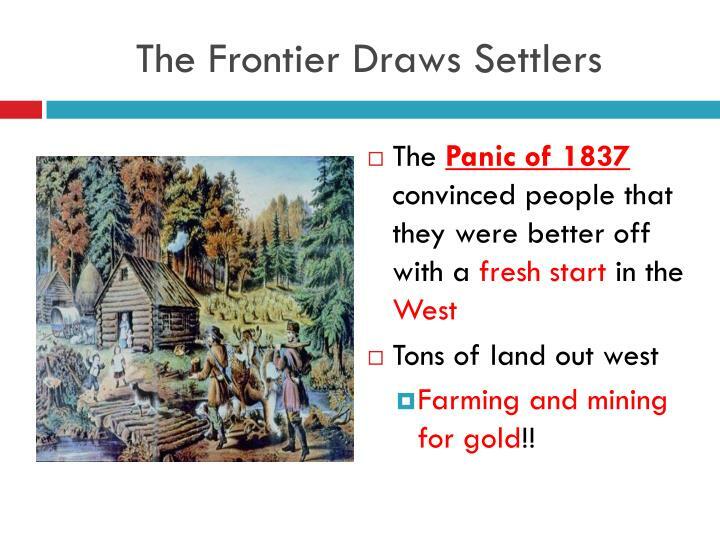 Brought commercial prosperity and an increase in gold findings elsewhere. 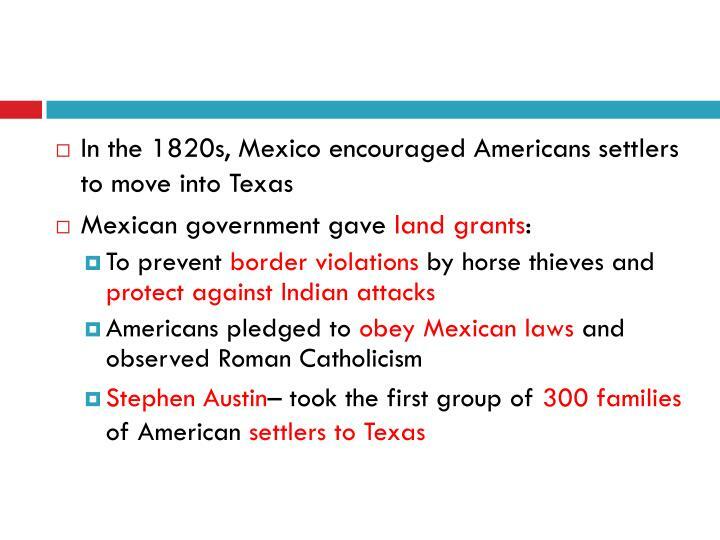 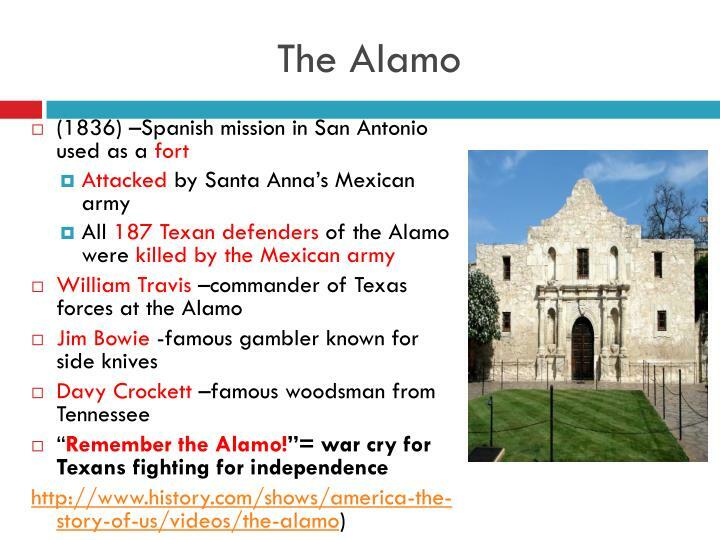 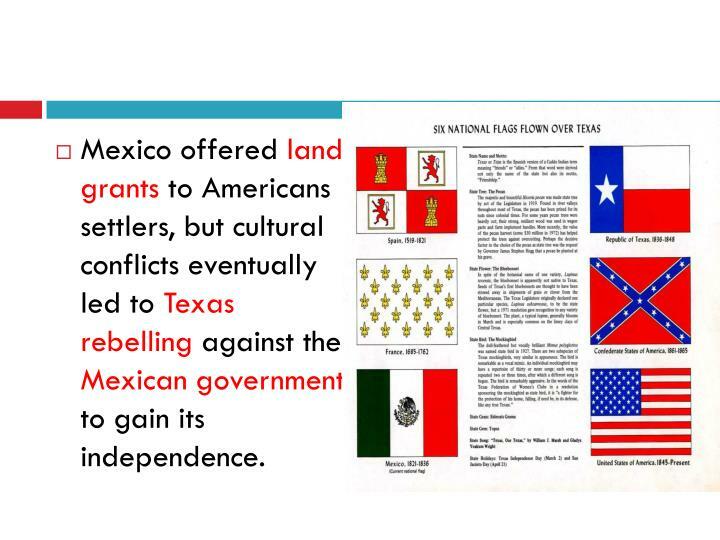 Mexico offered land grants to Americans settlers, but cultural conflicts eventually led to Texas rebelling against the Mexican government to gain its independence. 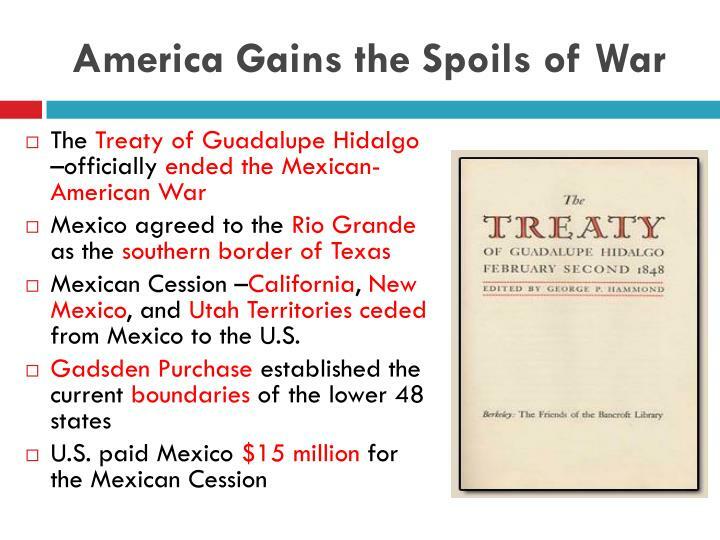 Mexican Cession –California, New Mexico, and Utah Territories ceded from Mexico to the U.S. 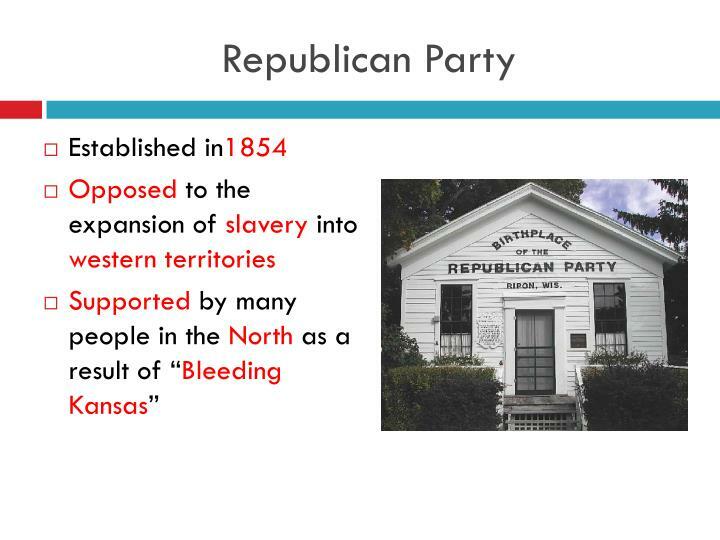 The issue of slavery dominated U.S. politics in the 1850s. 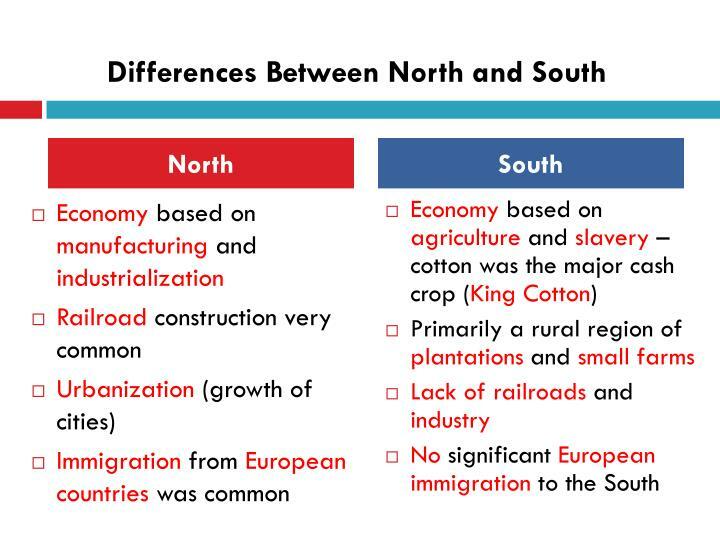 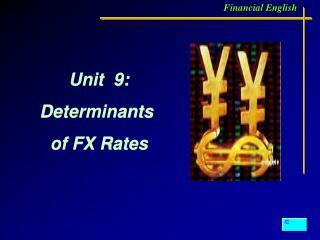 How did the economy in the North differ from that in the South? 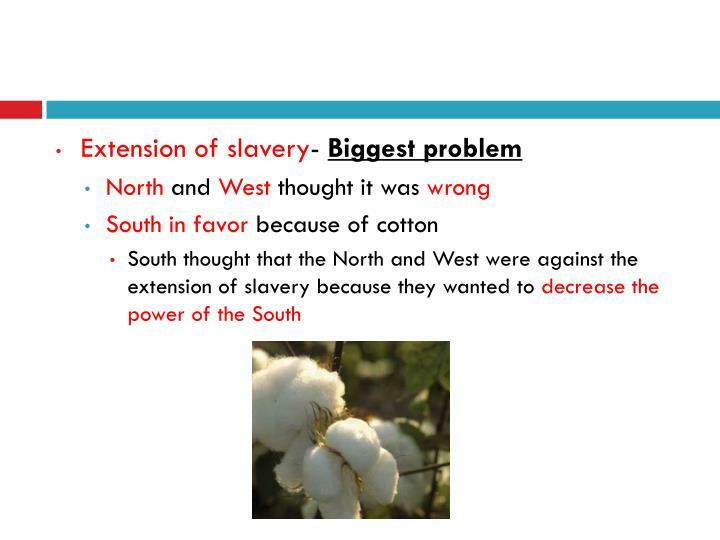 What impact did the growth of cotton have on the system of slavery? 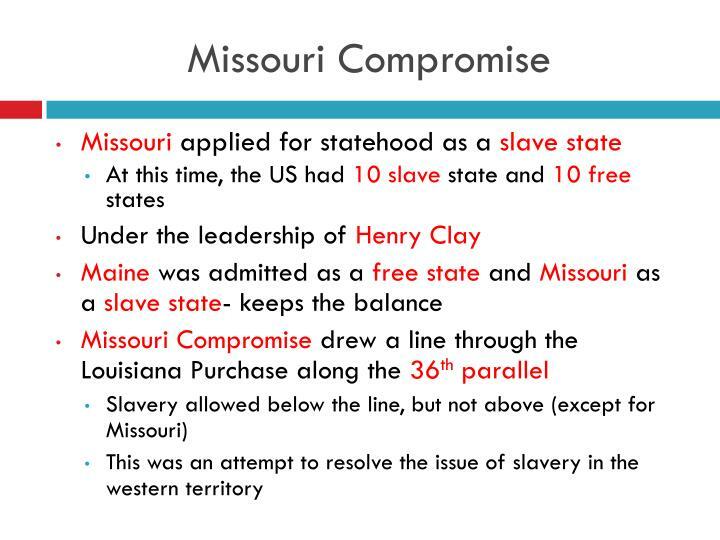 How did the Missouri Compromise temporarily settle the debate over slavery? 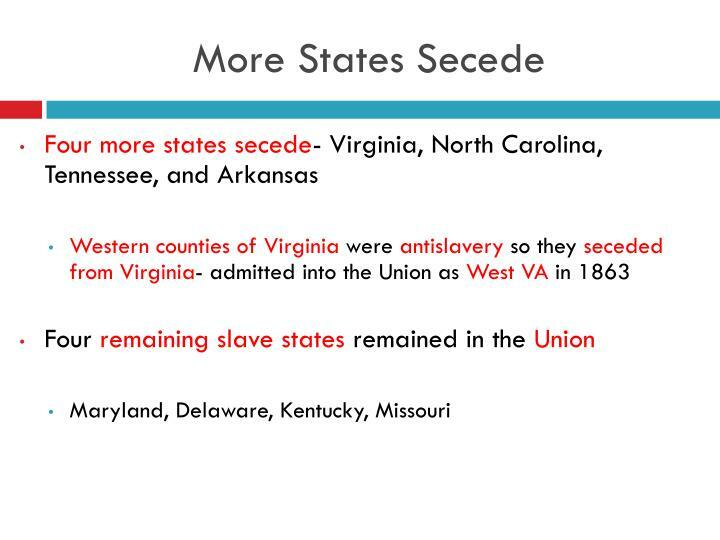 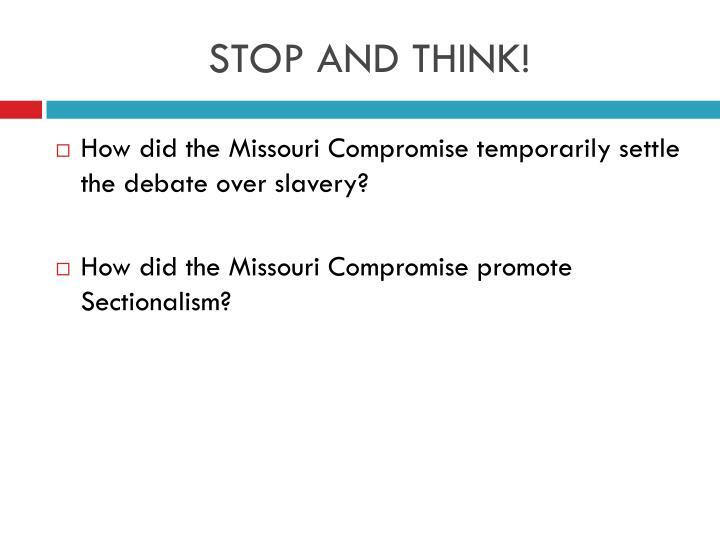 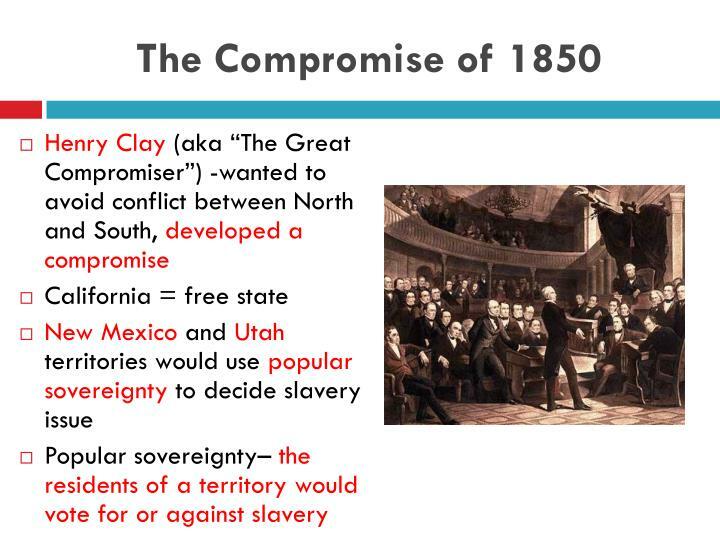 How did the Missouri Compromise promote Sectionalism? 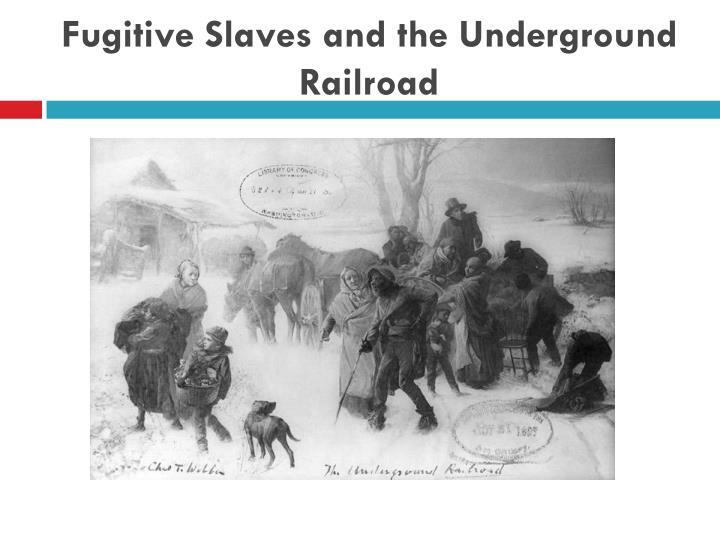 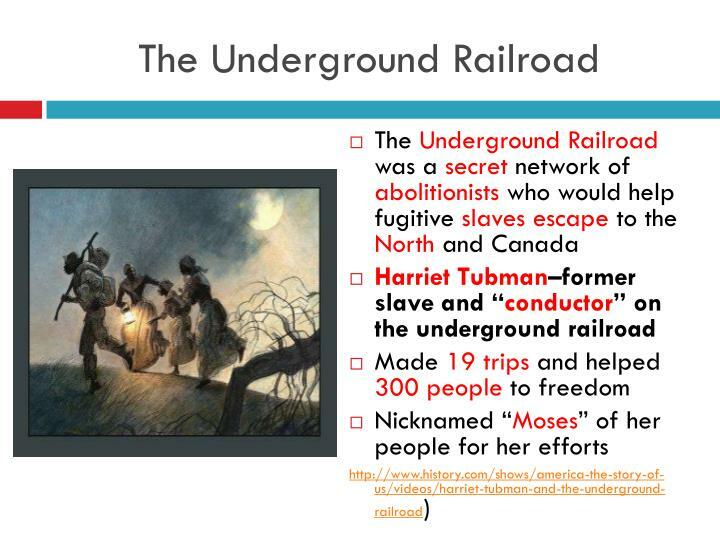 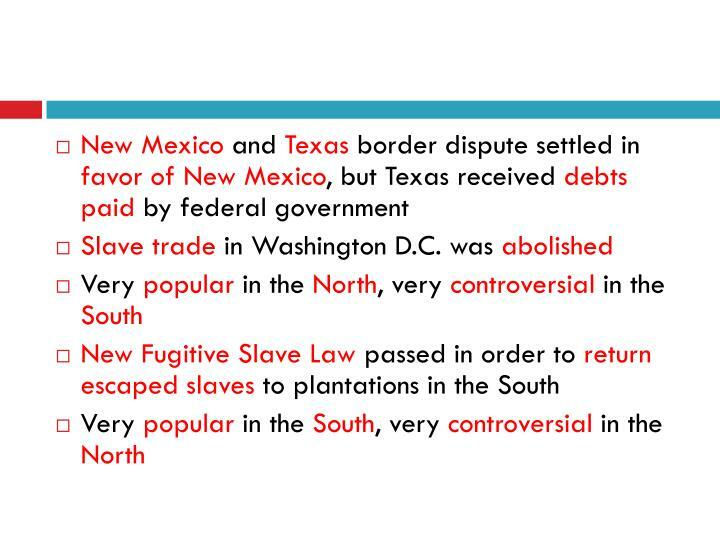 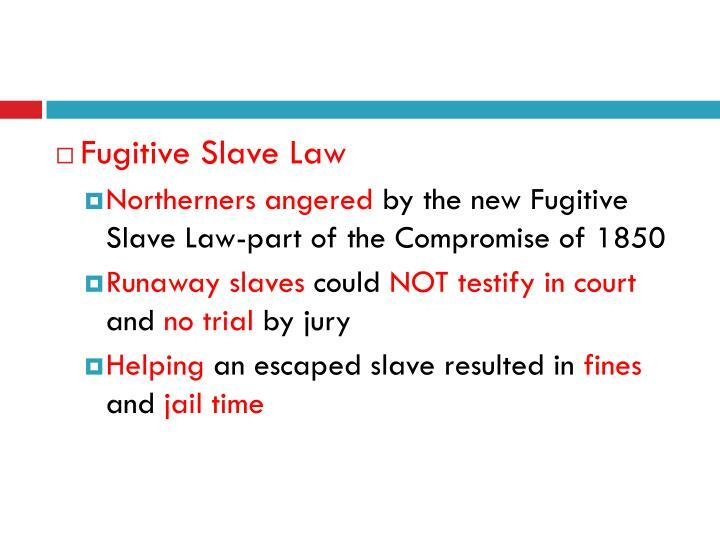 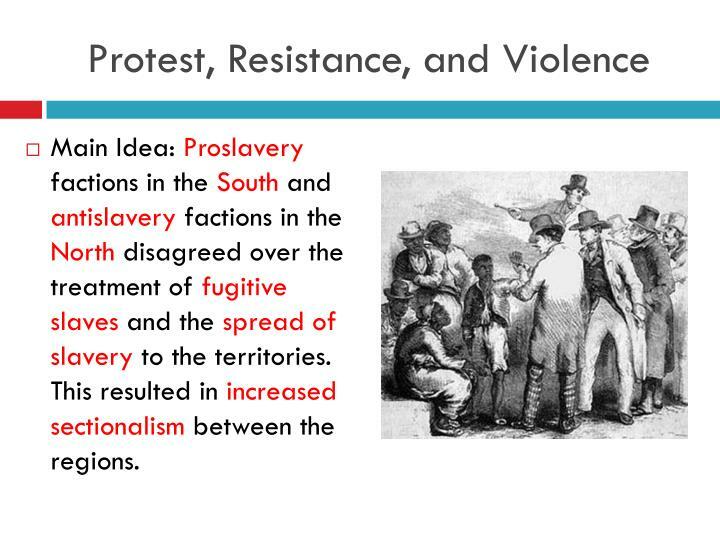 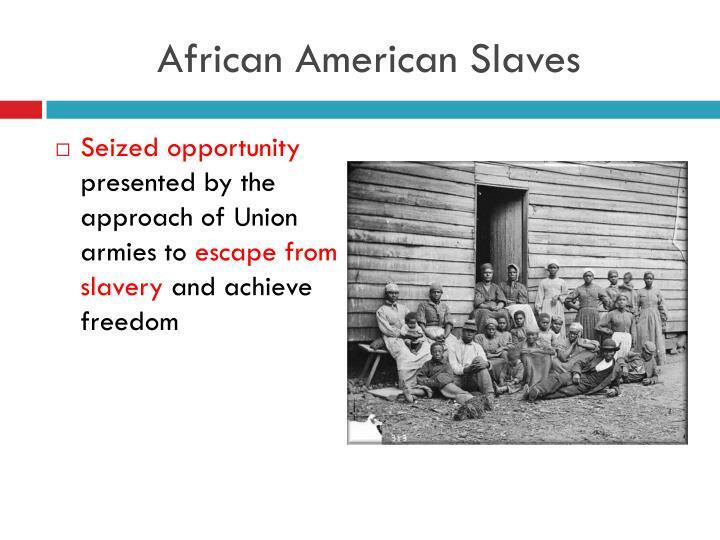 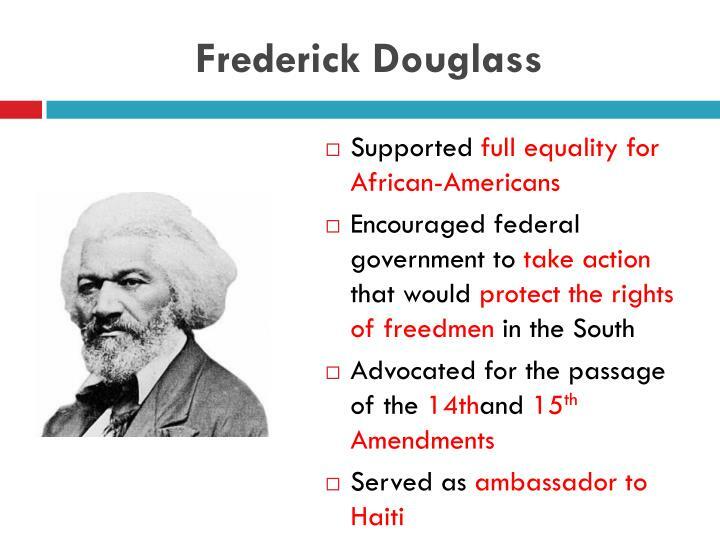 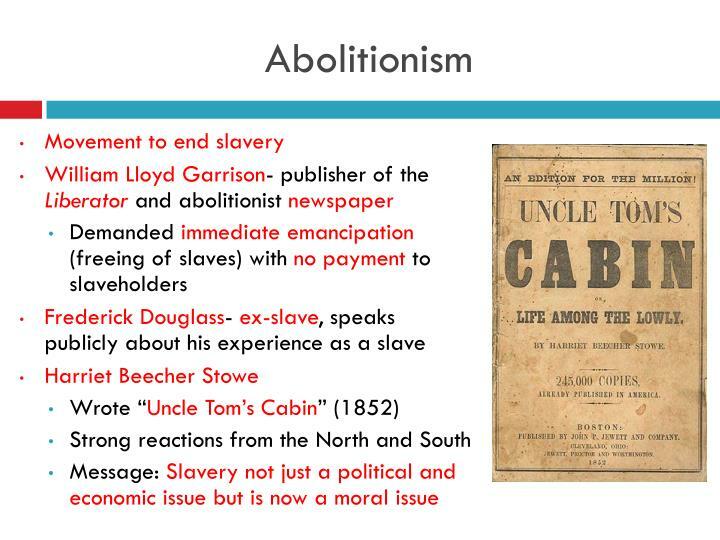 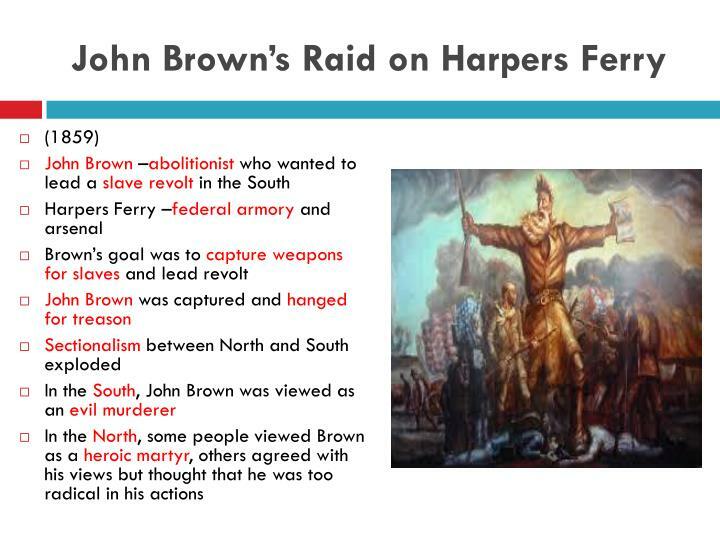 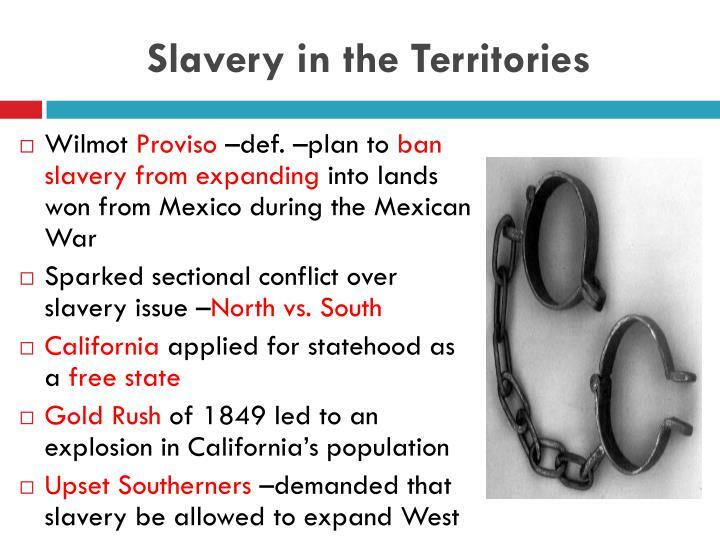 Main Idea: Proslavery factions in the South and antislavery factions in the North disagreed over the treatment of fugitive slaves and the spread of slavery to the territories. 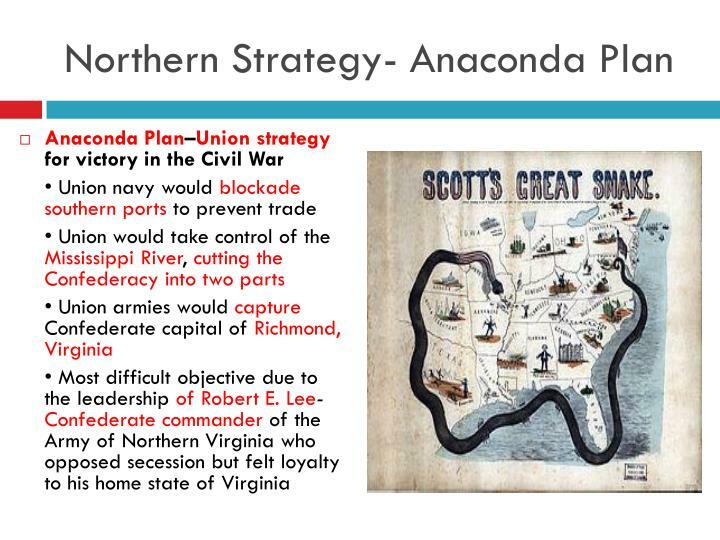 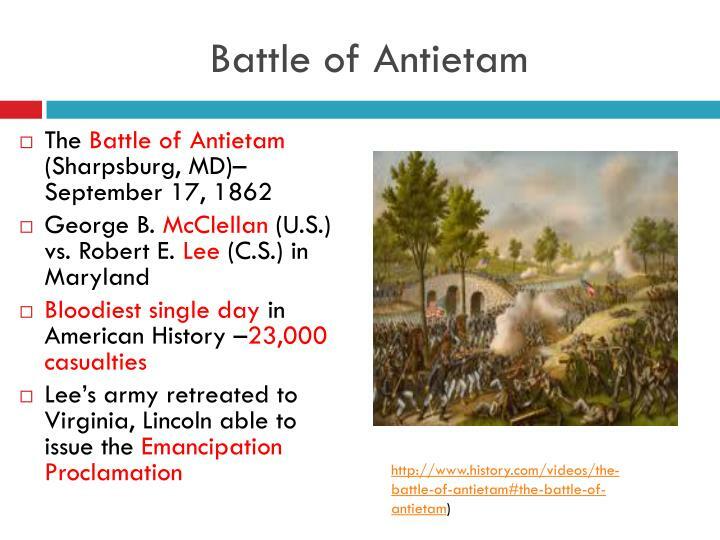 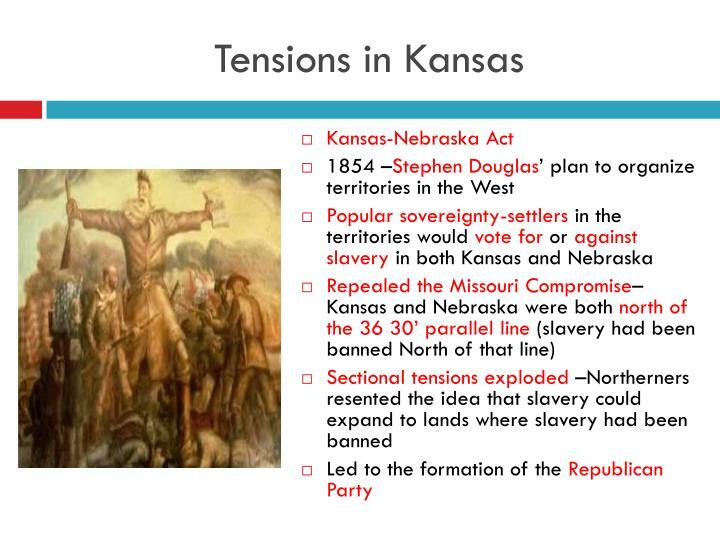 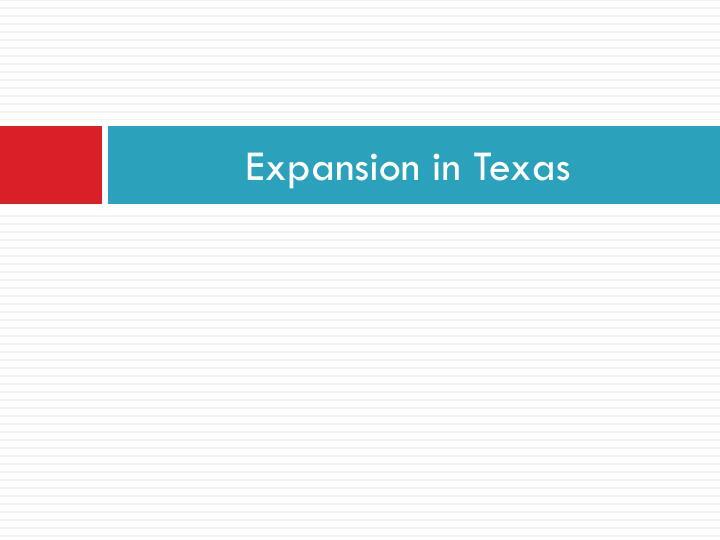 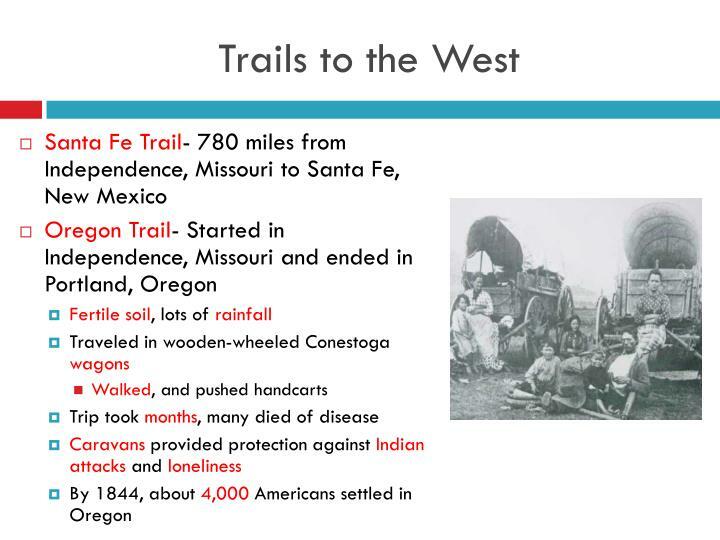 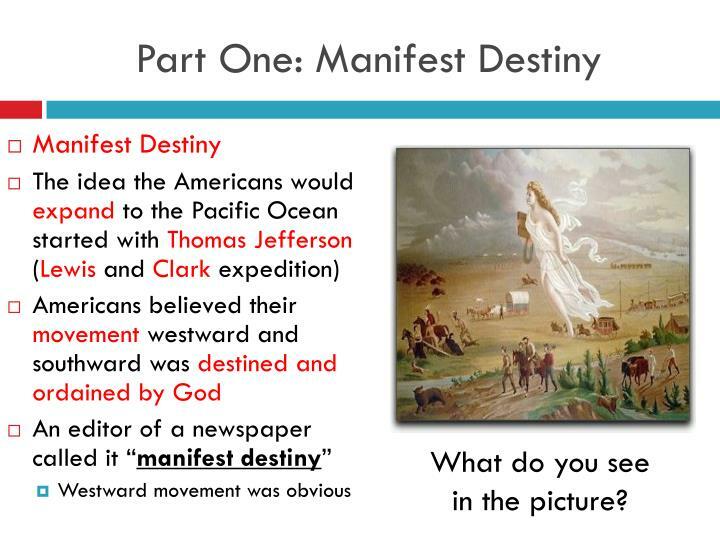 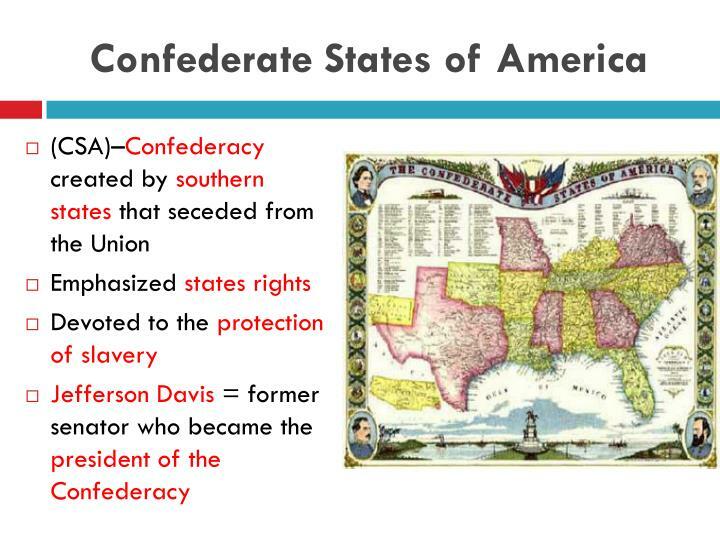 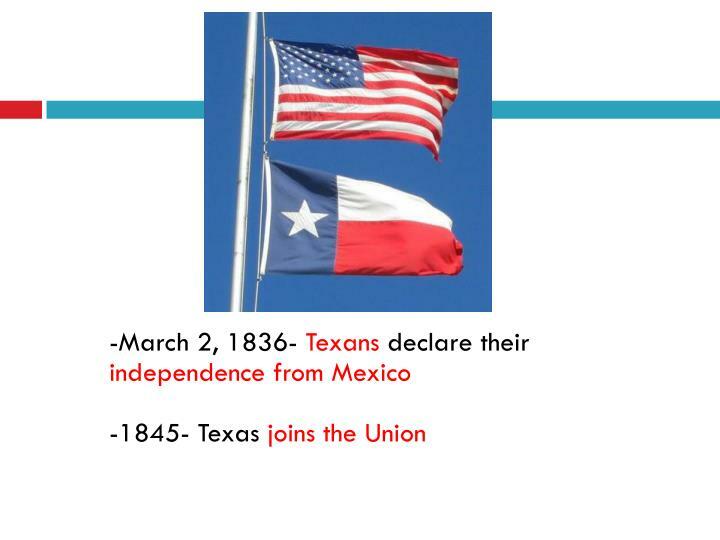 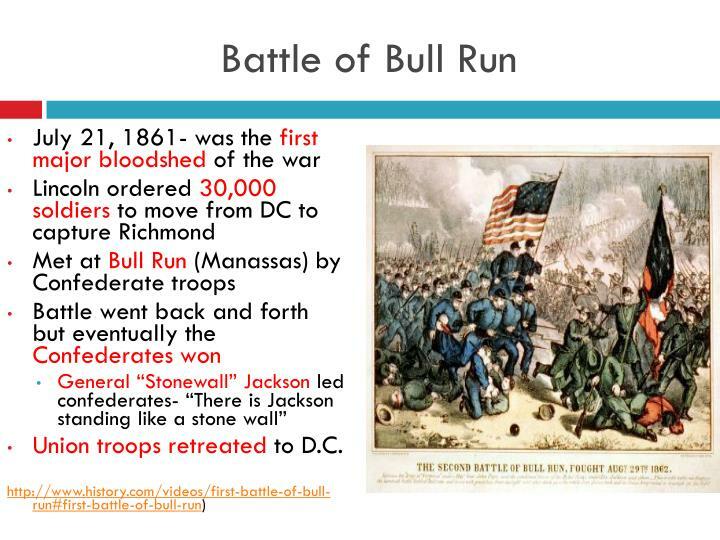 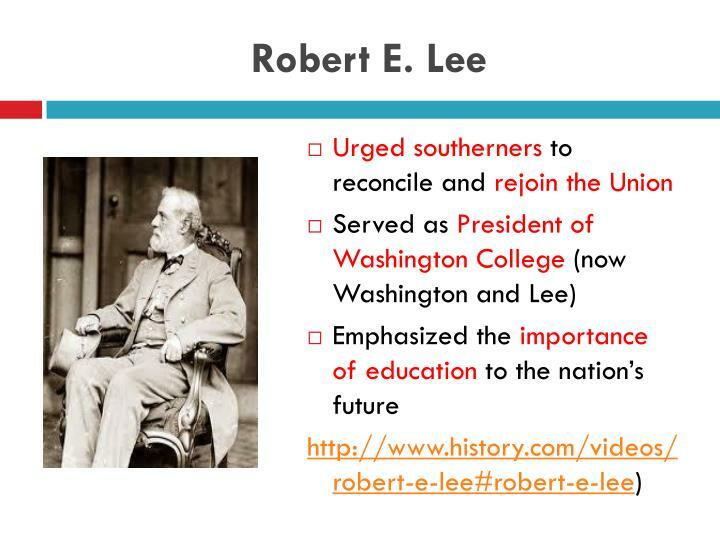 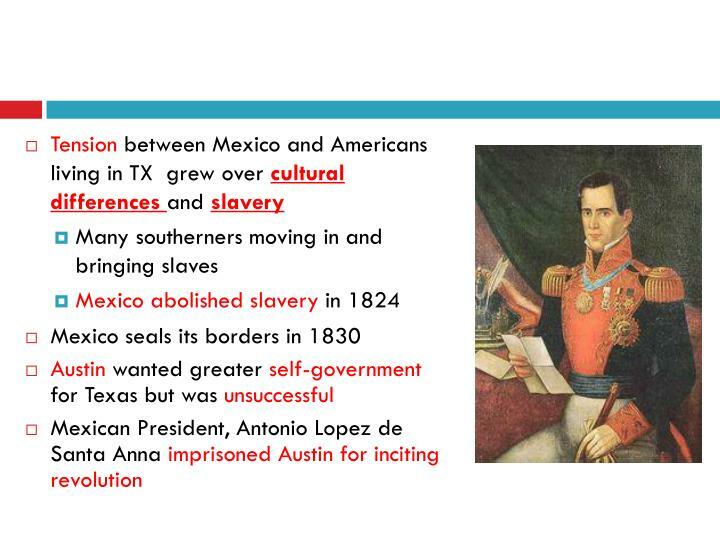 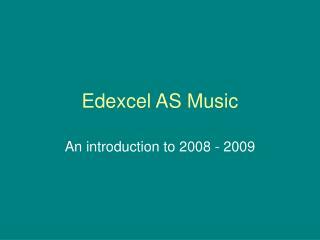 This resulted in increased sectionalism between the regions. 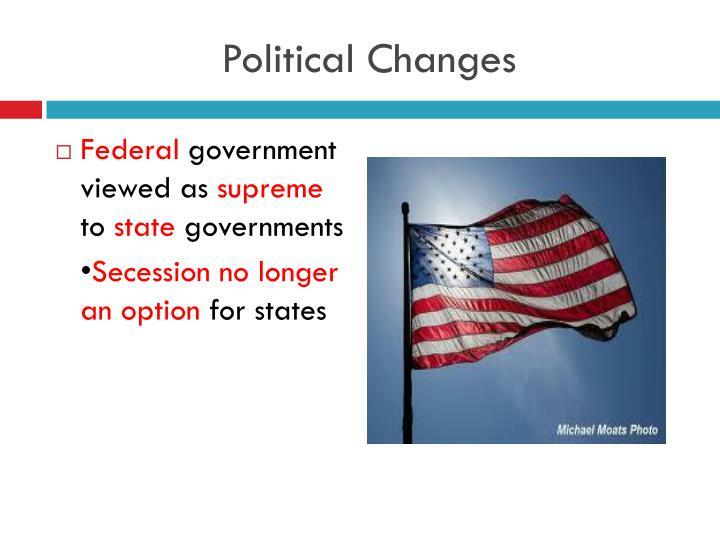 Why was popular sovereignty controversial? 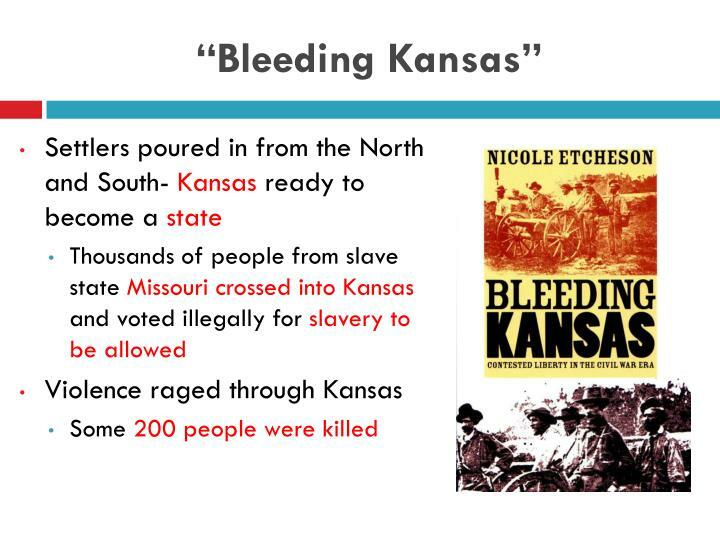 Why did Kansas become a center of controversy over the issue of slavery? 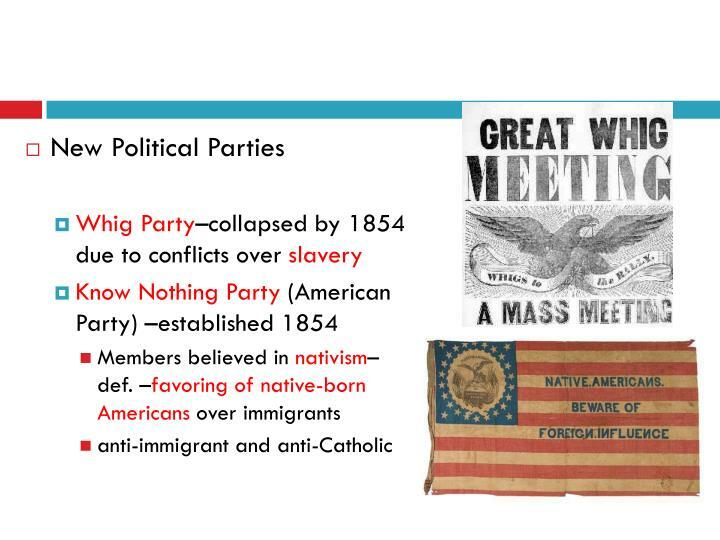 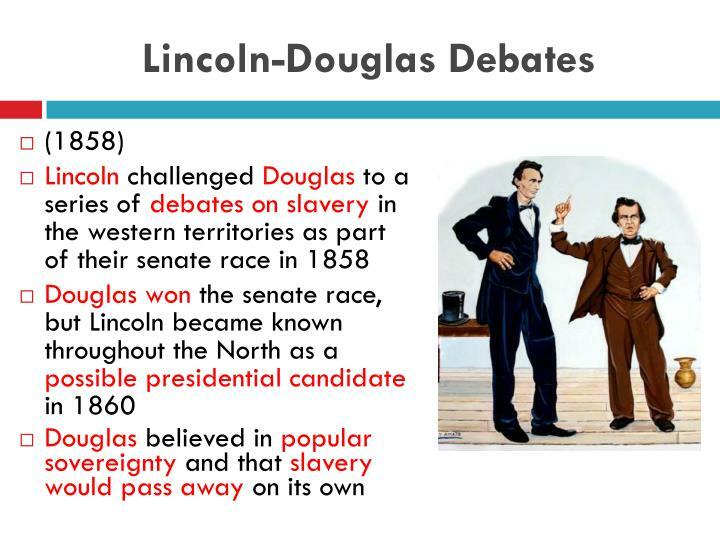 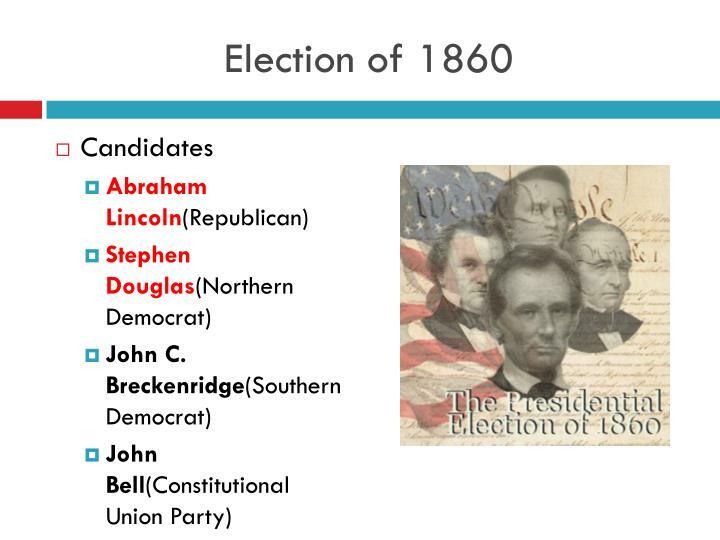 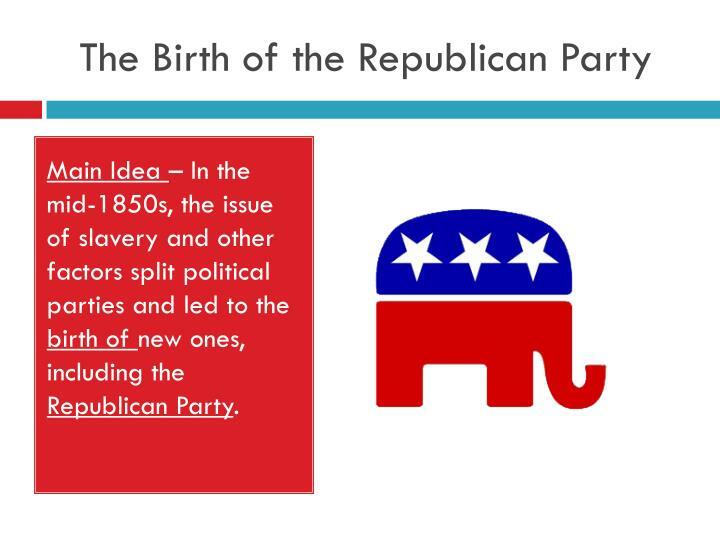 Main Idea – In the mid-1850s, the issue of slavery and other factors split political parties and led to the birth of new ones, including the Republican Party. 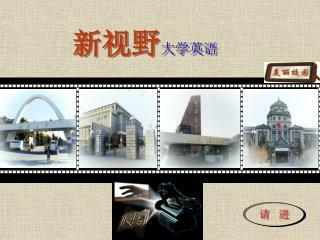 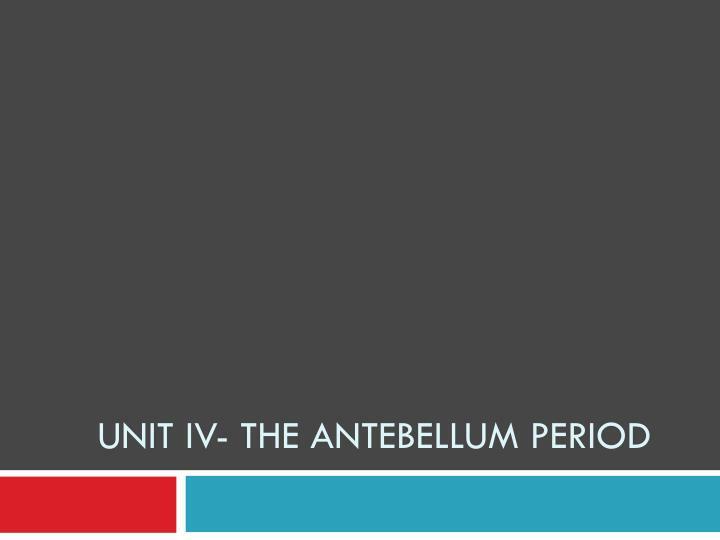 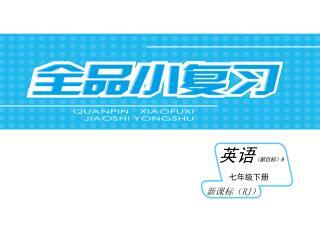 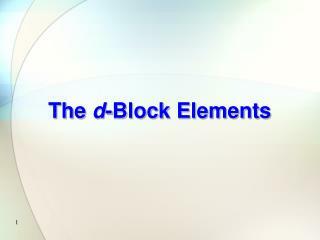 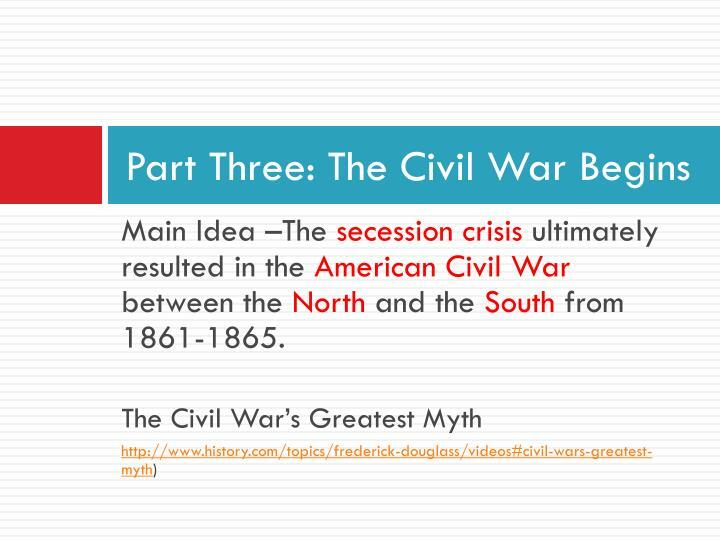 Main Idea –A series of controversial events heightened the sectional conflict that brought the nation to the brink of civil war. 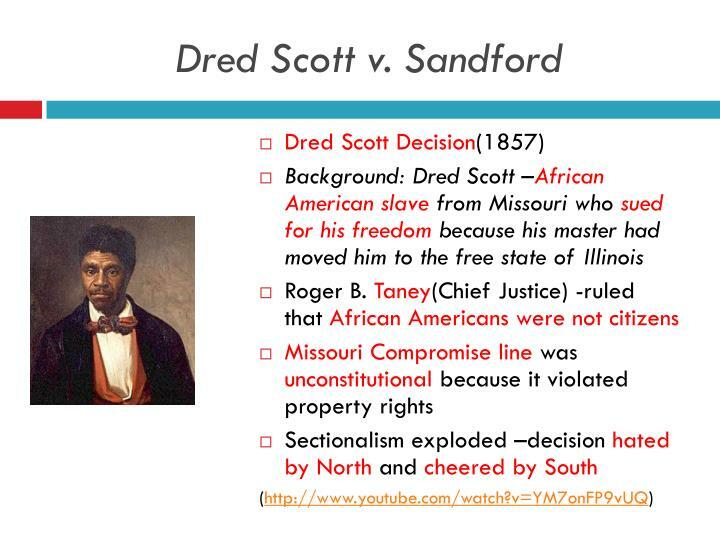 What was the significance of the Dred Scott decision? 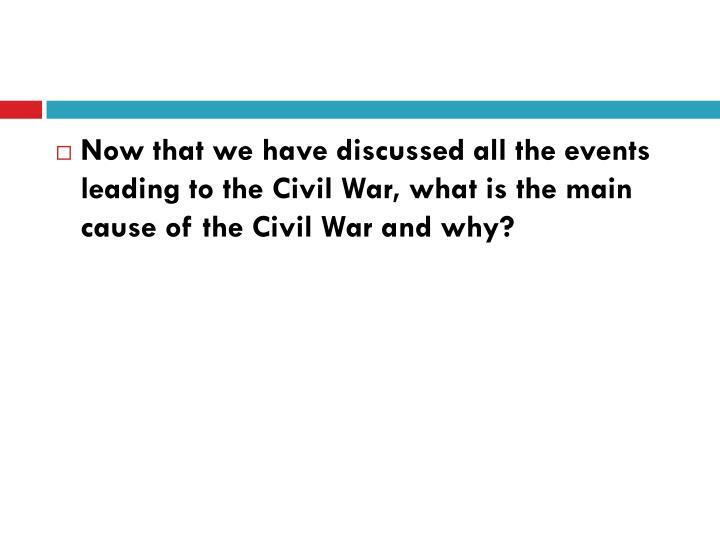 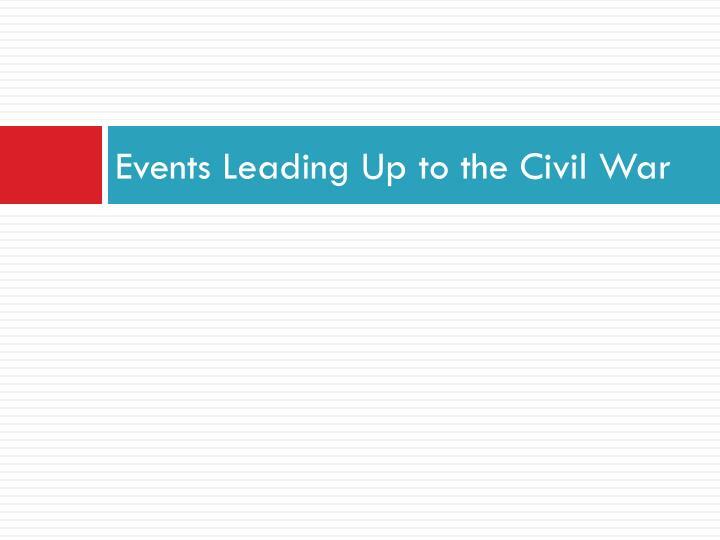 Now that we have discussed all the events leading to the Civil War, what is the main cause of the Civil War and why? 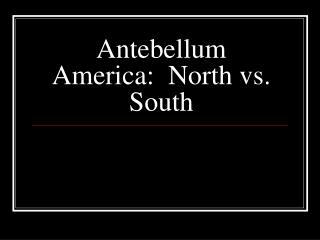 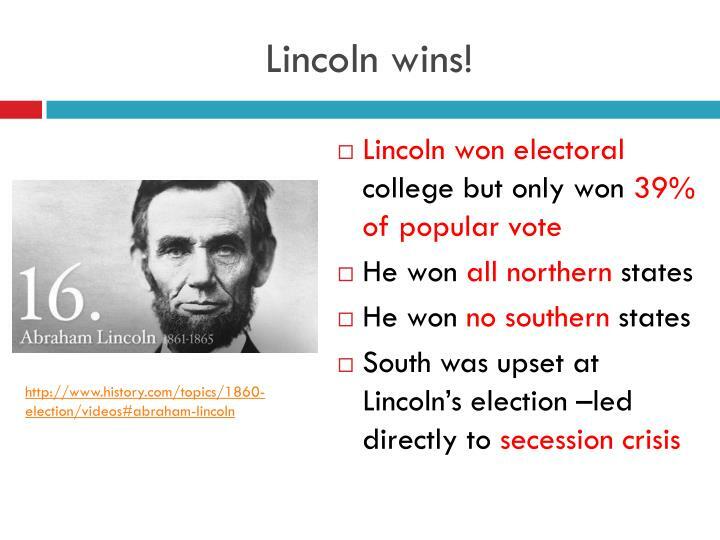 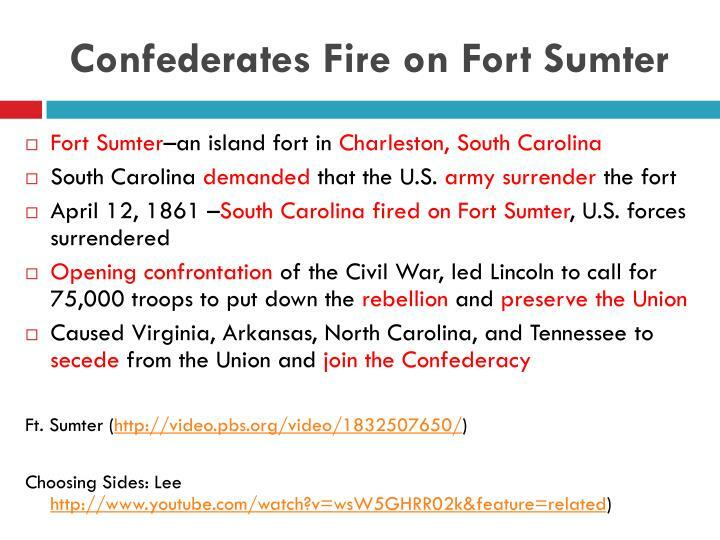 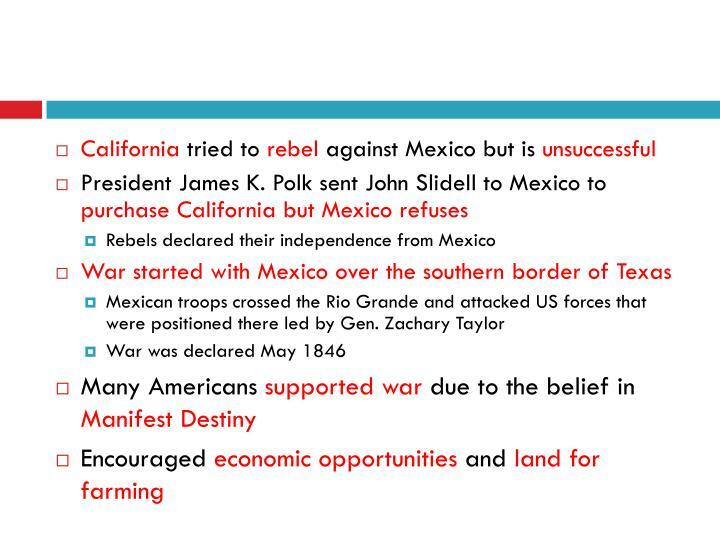 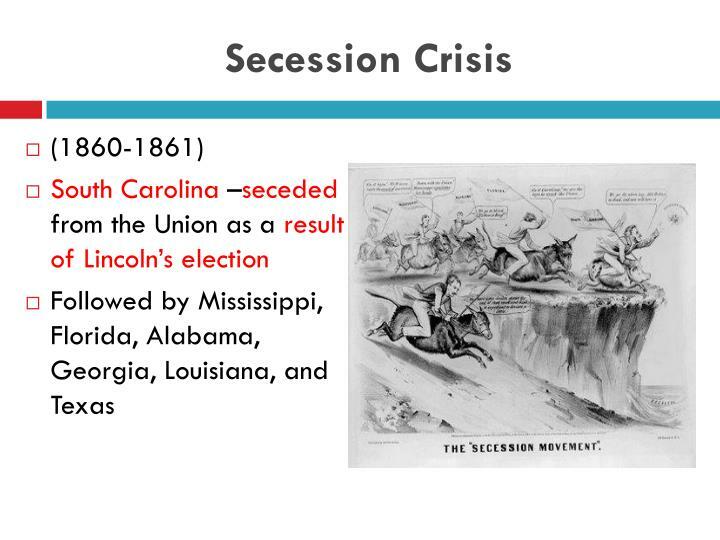 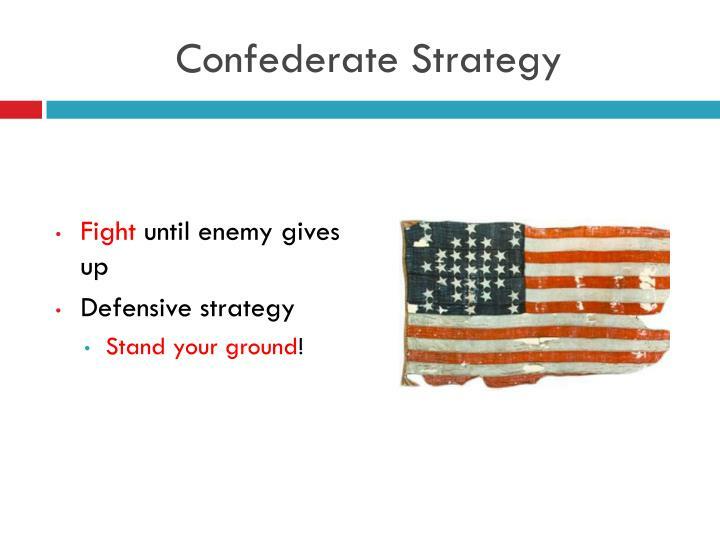 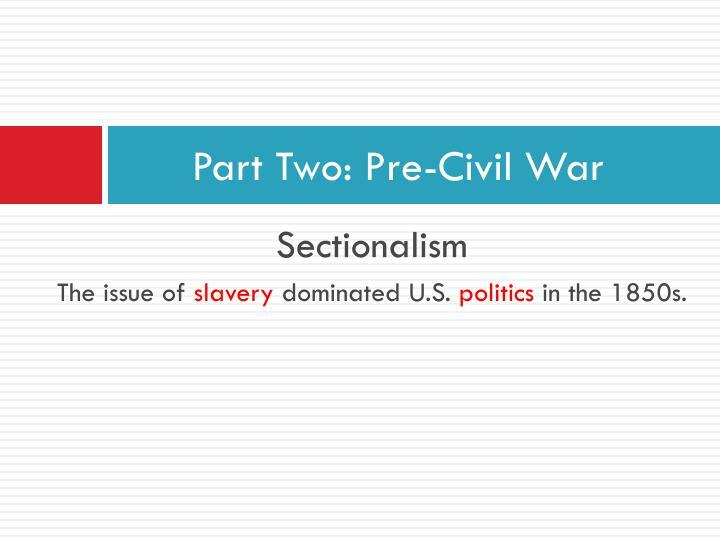 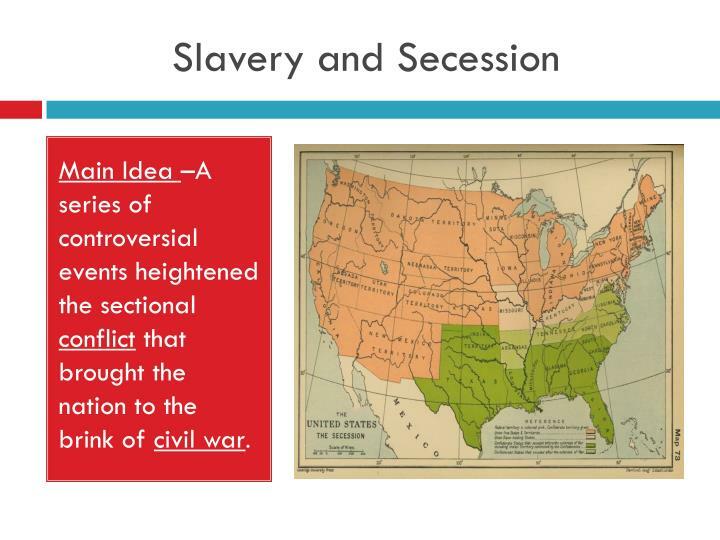 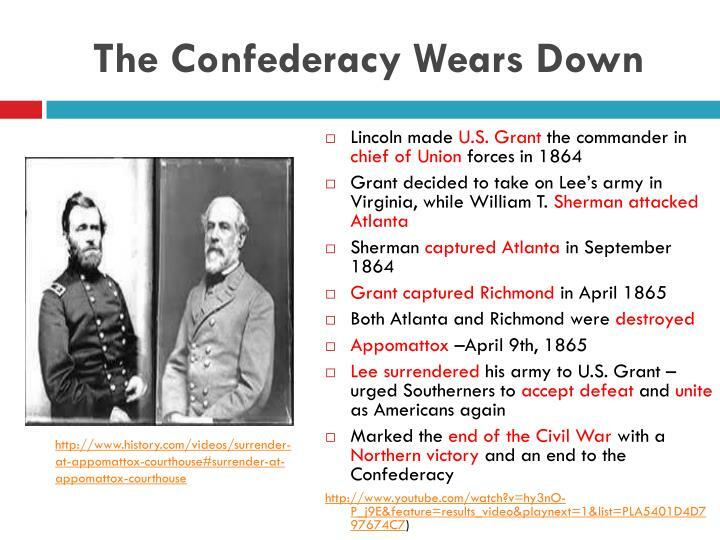 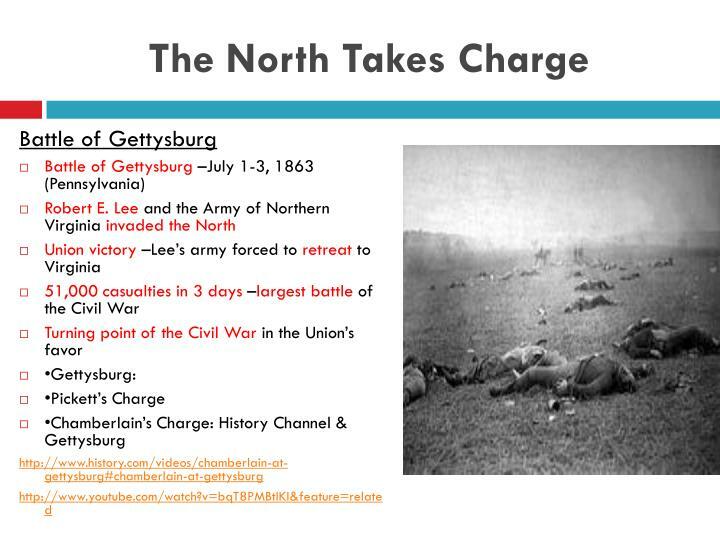 Main Idea –The secession crisis ultimately resulted in the American Civil War between the North and the South from 1861-1865. 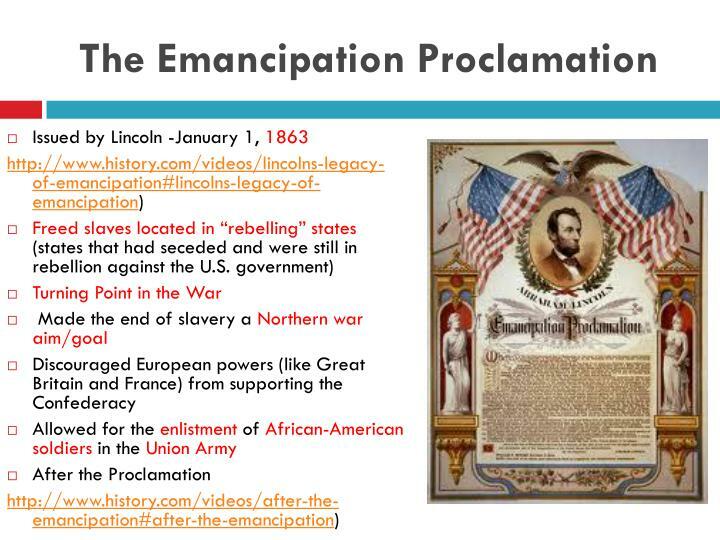 Union troops retreated to D.C.
How did the Emancipation Proclamation change the course of the Civil War? 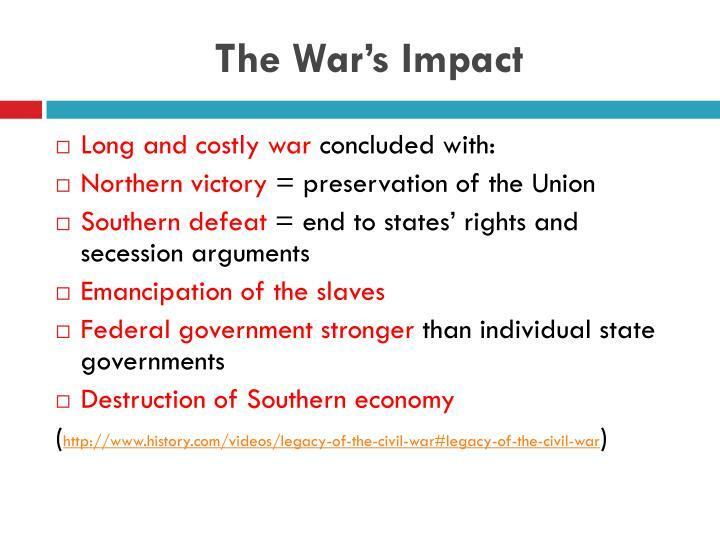 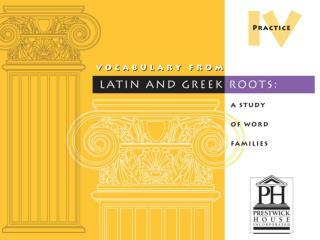 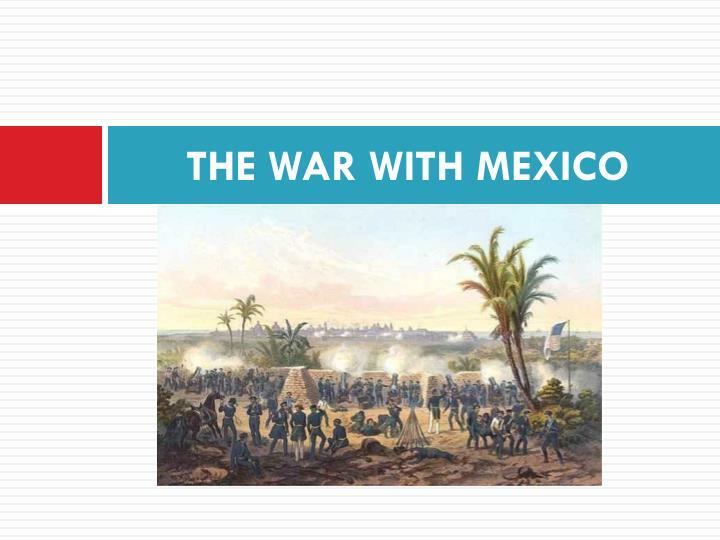 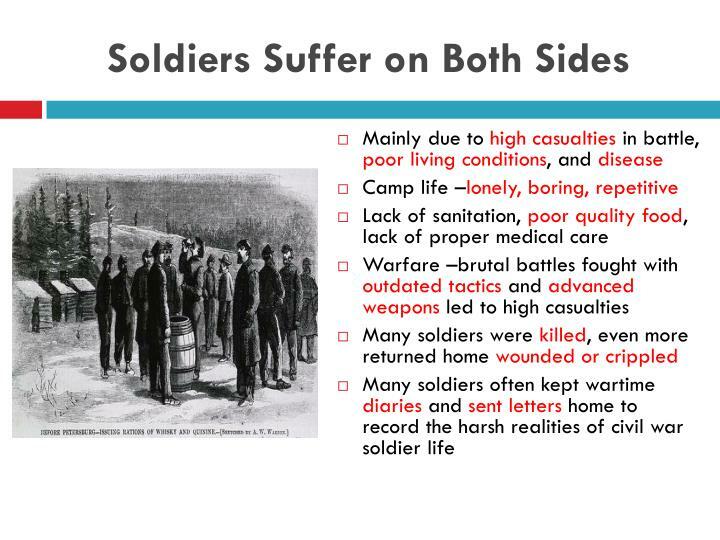 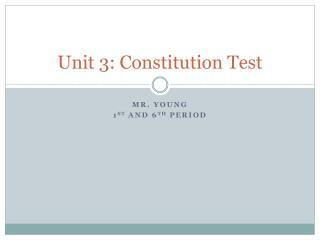 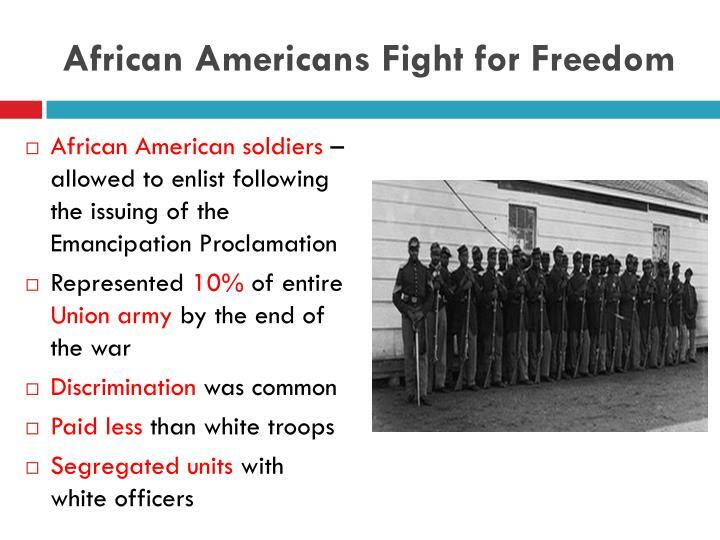 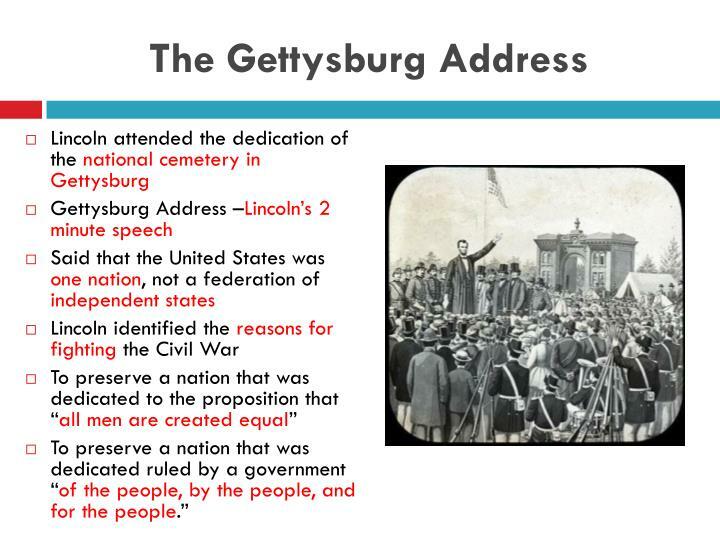 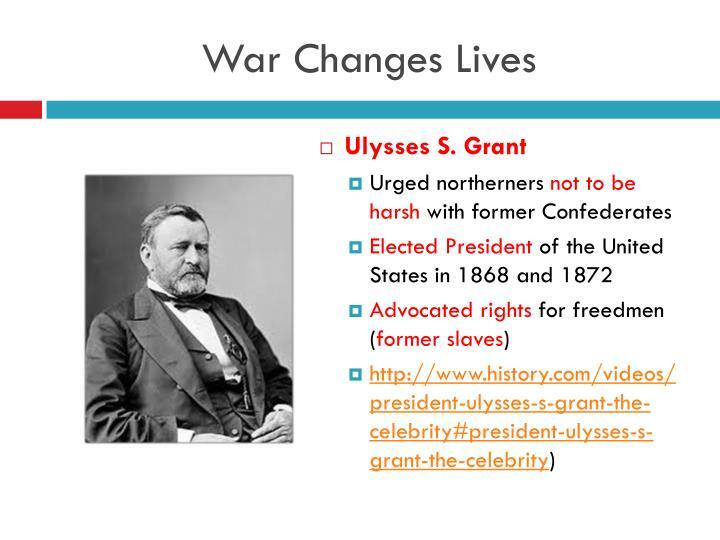 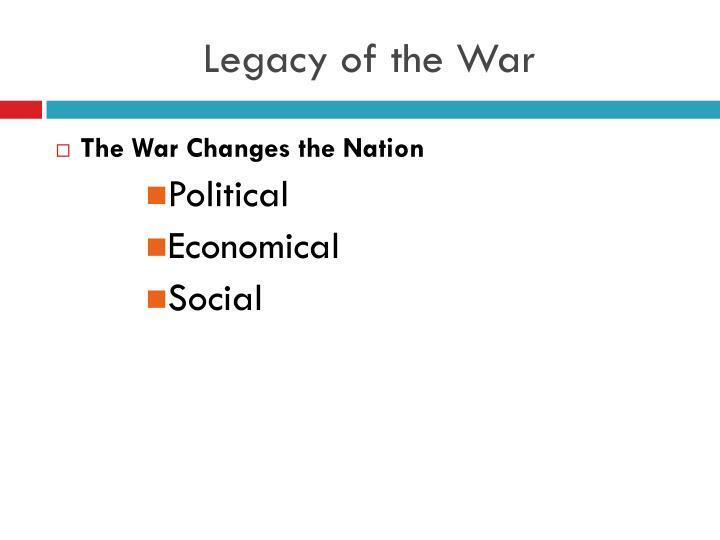 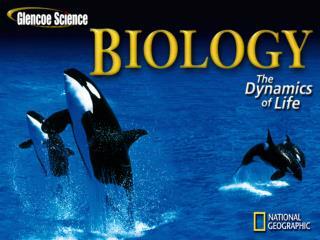 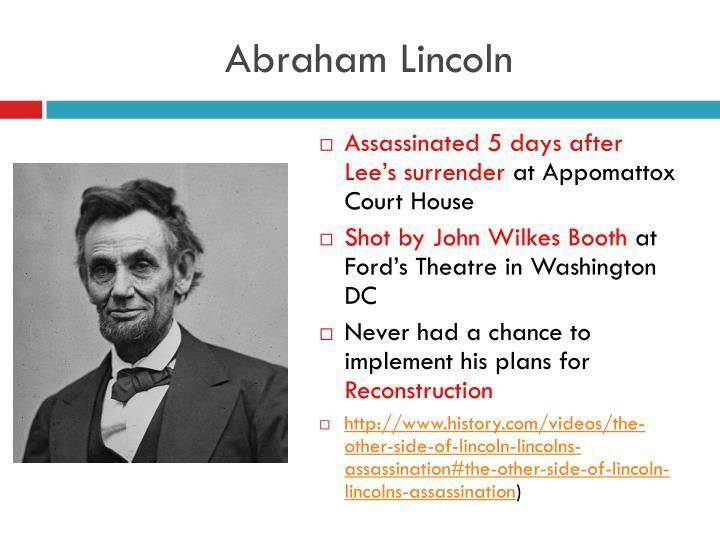 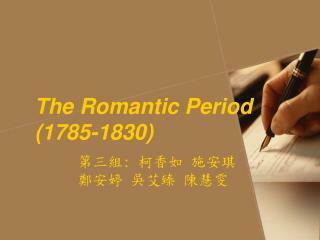 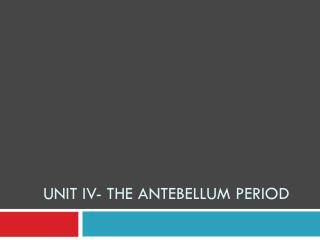 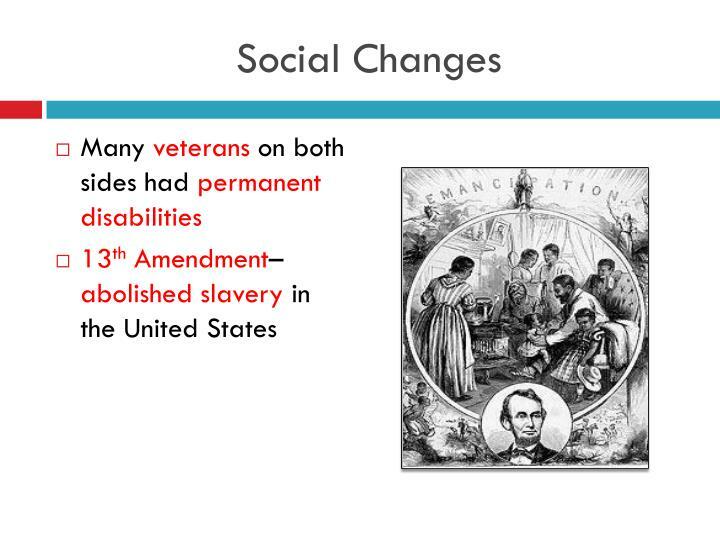 Main Idea –The Civil War brought about dramatic social and economic changes in American society. 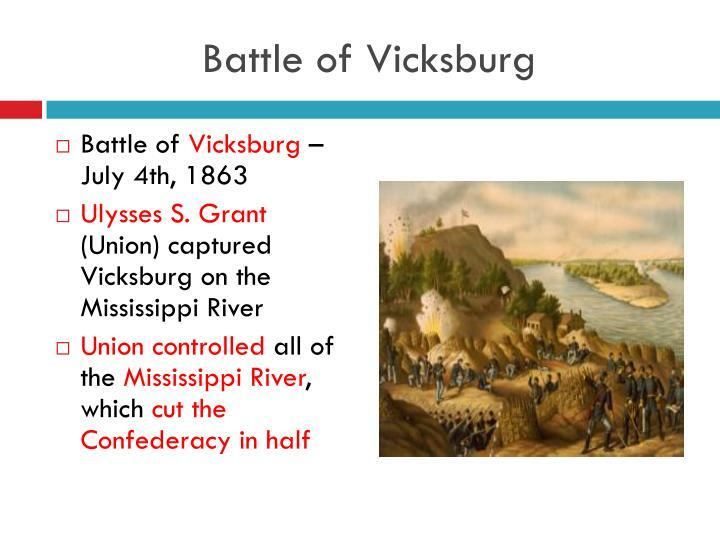 Key Northern victories such as Vicksburg and Gettysburg helped the Union wear down the Confederacy. 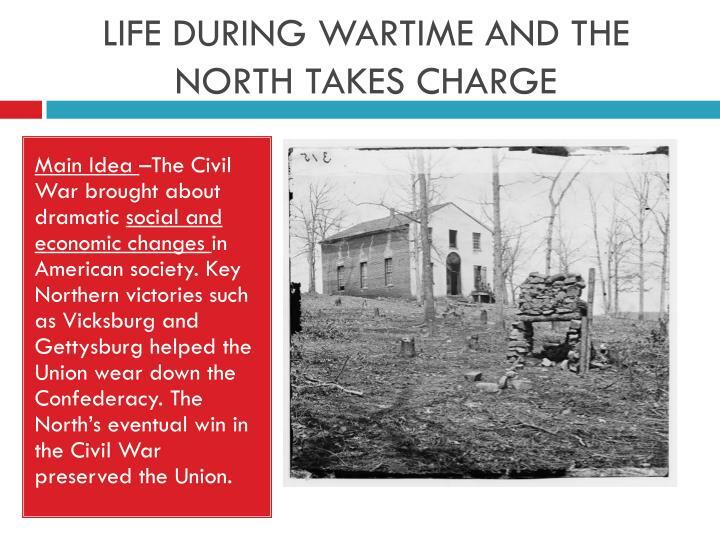 The North’s eventual win in the Civil War preserved the Union.